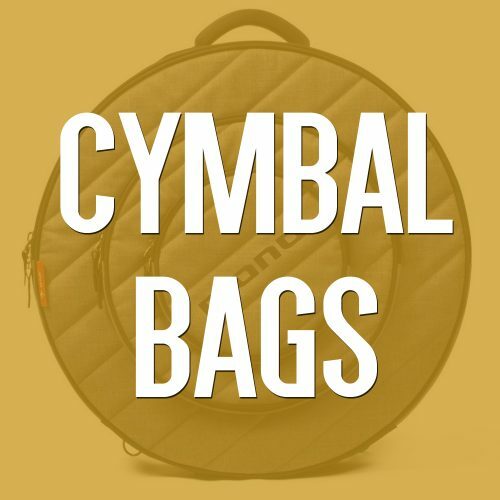 What Is The Best Bass Drum Head? The winner of the best bass drum head goes to the legendary Evans EMAD 2. It is the modern drummer’s weapon of choice for achieving a powerful kick drum sound! It’s an incredibly versatile bass drum head that is played on hit records and on festival stages around the world. 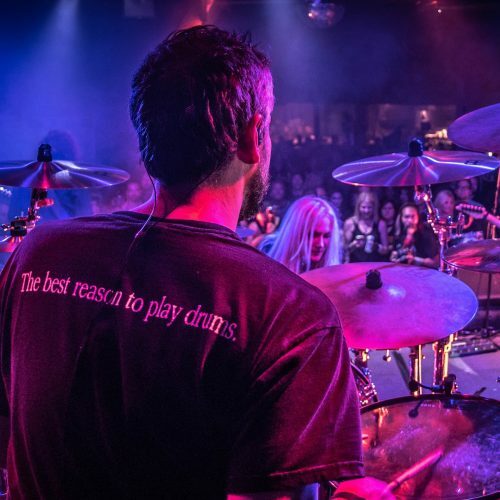 Evans has been an innovator in drum head manufacturing for over 60 years, and their heads are played by many of the finest drummers on the planet. They are all made in the USA and feature level 360 technology for high quality and consistency within manufacturing. The Evans EMAD 2 drum head features two plies of film – an outer ply of 7mil and an inner ply of 10mil film. The EMAD system stands for ‘externally mounted adjustable dampening’ and enhances the attack and focus of the kick drum sound. I personally swear by the Evans EMAD 2 bass drum head for everything from studio sessions to tours, and it sounds consistently great every time I play. In my opinion it has the perfect amount of low-end punch as well as some top end ‘click’ that allows the kick drum to cut through in the mix. These Evans drum heads are highly durable and will hold up to very intense playing without compromising any attack or sound quality. This is the best bass drum head for almost any genre of music and will make your bass drum sound great in any musical application! The Aquarian Super Kick 2 is another very popular choice for drummers seeking a high quality bass drum head. It is one of the industry’s best sellers and a firm favourite amongst professional drummers who demand a punchy yet natural sounding low-end from a bass drum. The Aquarian Super Kick 2 drum head features a patented “Floating Muffling System” which utilizes a narrow band of acoustic felt to achieve a pre-dampened yet natural sound. The felt moves with the drum head to boost low-end whilst eliminating unwanted frequencies and overtones. 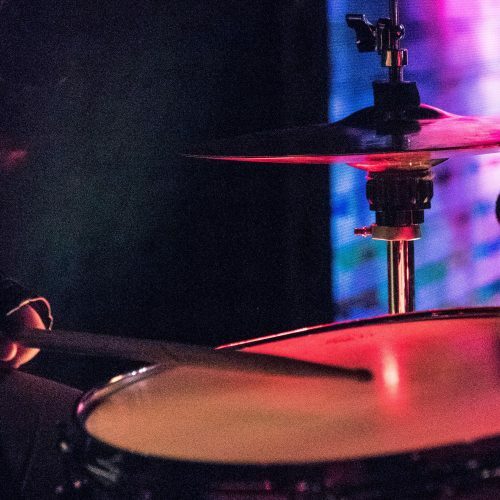 The drum head itself is comprised of two 7mil plies of Nu-Brite film that offers immense durability and strength, in addition to a punchy focused sound. The Aquarian Super Kick 2 is possibly the best bass drum head suited for all styles of popular music. This drum head sounds great across different tuning ranges and it simply feels great to play. It’s a great sounding option that is also great value for money. This Evans bass drum head is an excellent sounding drum head. It has a lot of punch and has an internal ring that offers a good level of sound dampening. Despite the fact it’s a single 10mil ply drum head, it does have a good level of attack and punch which makes this suitable for heavier styles of music as well as popular genres. When looking at single ply bass drum heads, this is the best bass drum head to go for. When the Evans EQ4 bass drum head is tuned low it has delivers a surprisingly fat sounding low end for a single ply drum head. It has a great tonal resonance but just enough dampening to control some of those unwanted overtones. 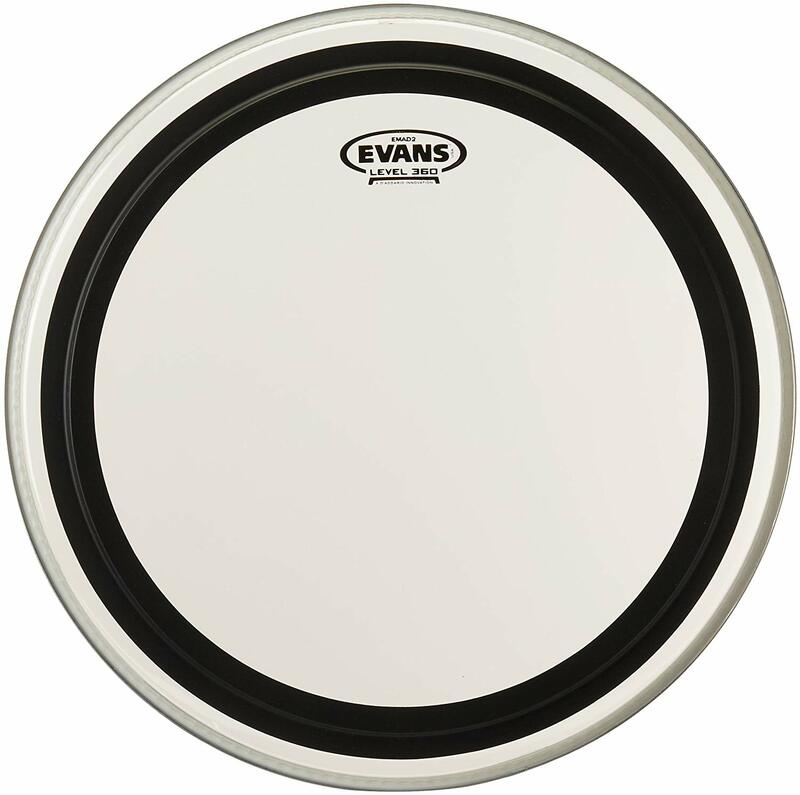 There is not as much dampening on this Evans drum head as opposed to the Evans EMAD – which offers a more focused attack. But it’s down to preference to see which you think you prefer! This drum head feels and sounds great to play. It is super versatile, and sounds excellent both in the studio and live on stage. It can be tuned up higher for jazz, country, funk or hip-hop; or tuned down low for rock and metal. This is a very popular drum head that is a top choice amongst working drummers around the world. Evans drum heads are all designed, engineered and manufactured in the USA to deliver consistent quality for each single drum head produced. This drum head represents great value for money and it’s the best bass drum head to buy on a budget. Lastly up for review we have an iconic Remo bass drum head that provides an excellent balance of response and a controlled tone. This drum head consists of a single ply 10mil coated film with an additional inlay ring helps to control some unwanted overtones. This Remo bass drum head has a warm and mellow sound that is delightfully musical. It is a very versatile bass drum head that has a vintage tone. This bass drum head is perfect for pop music, rock, country, R&B, hip-hop and lots of other popular musical genres. There is not as much muffling in this Remo bass drum head as the Aquarian Super Kick 2 or Evans EMAD, so there is more mid and low range overtones that are produced from this drum head. It is the ideal drum head if you are looking for a classic, warmer sound. Overall the Remo Powerstroke 3 drum head is a great sounding option that has immense playability and really adds a rich and mellow sound to your bass drum. Because it’s a single ply head I would mention it’s not quite as durable as the other bass drum head options. The sound of a bass drum is the heartbeat of the music! 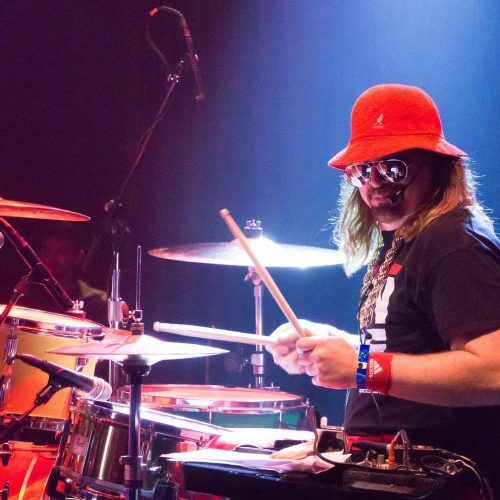 It beats the rhythm like a heartbeat, and it’s one of the single most vital parts of the drum set. If we say the snare drum is the brain of the drum set, then the kick drum really is the heart. A bass drum provides the essential groove within a song. It channels enormous energy through to a listener that allows them to connect with a song physically through the power of rhythm. Without a bass drum, a song would have no feel, power or rhythmic intensity that allows people to dance and truly enjoy the music. The bass drum lays down the central beat on the ‘1’ and ‘3’ of a song. This conducts a listener to the timekeeping and rhythm of a song. The bass drum is an understated part of music, but the reality is that it lays down the foundation of the entire song. What Bass Drum Head Should I Choose? 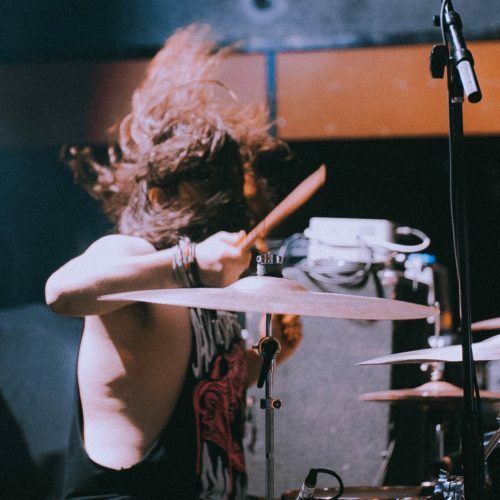 A drum head is responsible for 70% of a drum’s sound. Therefore it’s important to play the best heads you can afford to achieve the best possible sound from a drum. 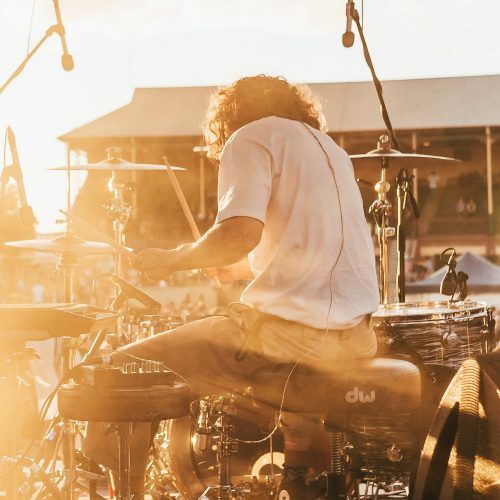 A bass drum head will be directly responsible for achieving the best sounding low end providing the punch that people come to expect from a bass drum whether it’s live or on a record. All of the drum heads within this guide are professional quality drum heads that perform great for all musical applications. The drum heads in this guide are all produced by the three largest and best drum head manufacturers in the world – Evans, Remo and Aquarian. 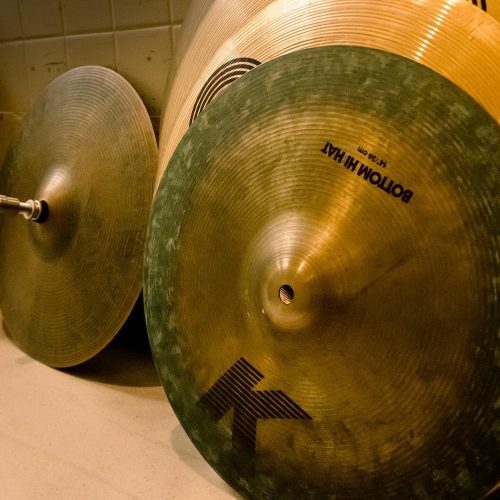 All professional drummers in the world play these three brands. They make the best drum heads by far. Single Ply Or Two-Ply Bass Drum Heads? The number of plies and the thickness of a drum head directly alters its acoustic sound properties. A thinner drum skin has a clear tonal resonance and straight talking response. Single ply drum heads sound more open and resonant than their two ply counterparts. For bass drum heads, singly ply heads are popular for styles of music that require a warmer and open sounding bass drum. Jazz, swing, country, folk and acoustic are a few examples of genres that will be more suited to a single ply bass drum head. Two-ply drum heads have a fatter sound and lower pitch. This is because more mass is being moved when the beater strikes the skin. Two-ply bass drum heads also have a faster decay and a more focused sound. 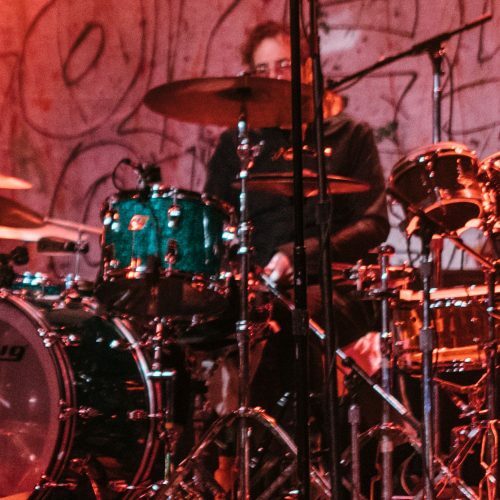 Most contemporary drummers play two-ply bass drum heads because of their punchier low end that simply works so well live when mic’d up through a PA. The best bass drum head products on the market all utilize a form of internal dampening. Typically in the past, drummers were prone to using pillows, towels and anything else they can get their hands on to help deaden the sound of a bass drum. Luckily, modern drum head manufacturers have designed bass drum heads that incorporate sound muffling technology. The reason why drummers like to dampen the bass drum is to eliminate unwanted overtones, resulting in a focused and punchier sound. The internal dampening used within different bass drum heads vary. The Aquarian Super Kick 2 utilizes a patented floating felt muffle ring that is built into the head, and the Evans EMAD 2 includes two sizes of dampening rings to choose from which affix to the drum head. Tuning a bass drum is not too difficult. It requires the bass drum to be taken out from the drum set and placed down on the floor (resonant side flat on the floor) so you can easily access the lugs and tuning rods. 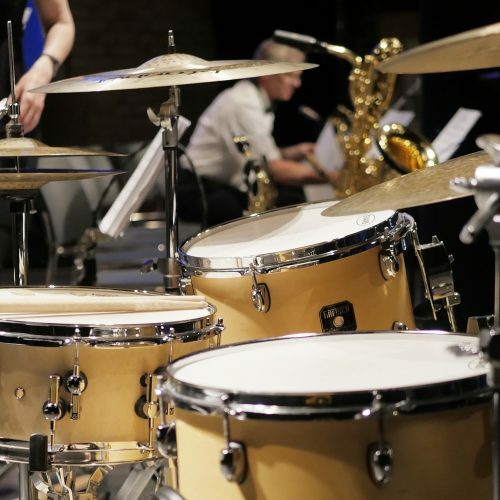 Firstly you will need to remove the old bass drum head by detuning the tuning rods progressively around the drum and removing the bass drum hoop. You will then need to place the new drum head on and then align up the bass drum claws and lugs to fit again onto the hoop. Start by tightening the tension rods around the bass drum hoop by using your fingers and not a drum key. Turn all of the rods around the drum in order until you’ve removed all of the wrinkles you can see from the bass drum head. Once there are no more loose tension rods, use a drum key to slowly adjust the tension progressively around the drum with a quarter of a turn of the drum key each time. Lots of drummers (including myself) like a low tuned kick drum, so be mindful not to over tighten the bass drum. Make sure that the pitch is even all the way round the drum by tapping around the head. Whether you choose to tune your bass drum low, medium or high it’s important the tension is even around the drum!